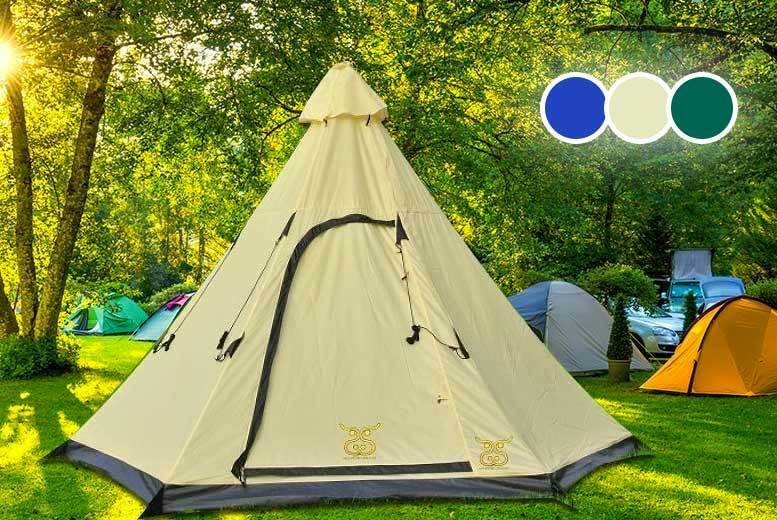 Get a teepee tent with space for six people in navy, sand or olive. Made from super-tough 210T polyester. Single pole means setting it up is easy. Comes with a handy zippered entrance. Perfect for taking with you to festivals or a quiet weekend away in the country! Size: (H) 375cm x (W) 345cm x (D) 250cm.